If I've heard it once, I've probably heard it dozens of times. Excitement over a new, "custom" corset quickly turns to ashen disappointment when the finished piece doesn't actually fit. How could this have happened? Measurements were provided and you trusted the maker, investing a couple hundred dollars or more. 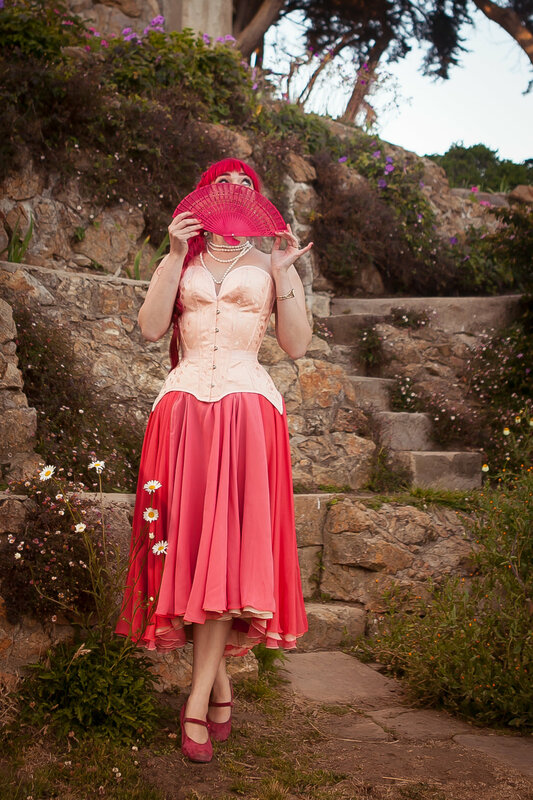 Made to measure is often used as a catch-all phrase to describe custom-made corsetry. But what's really included in the process? And perhaps most importantly, what's left out? You're buying a corset online. 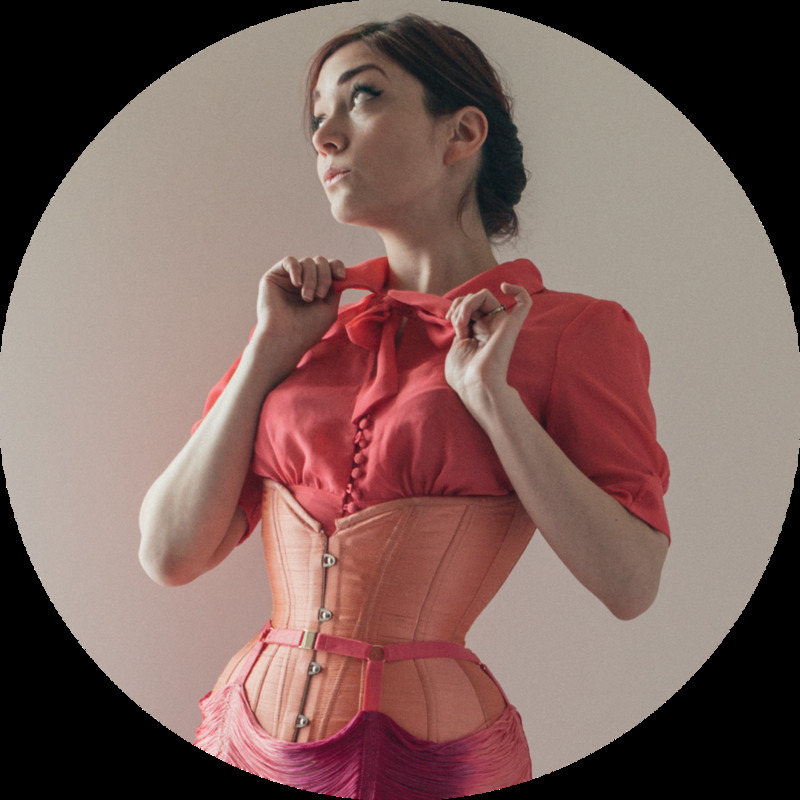 The corset is based on a template, but its basic horizontal measurements are customized to your provided bust (and/or underbust), waist, and hip measurements. This is commonly seen with Etsy makers. You're buying a corset that is also available in straight standard fit, but has (in this case) been personalized in some way based on your measurements, usually for an additional fee. Maybe it's an inch longer, or the waist is smaller, or the hips fuller, etc. The changes are relatively minor and fairly specific. A fitting with a standard fit physical sample may be part of the process. You're buying a corset that will be made based on a full, comprehensive set of horizontal and vertical measurements. So what's left out, then? It all seems in order, right? A perfect fit on a MTM corset should be a sure thing! Wrong. To guarantee an ideal fit on a corset, you'll need to to check the fit with a sample, called a mockup. The basic purpose of a mockup is to show you where to make adjustments... for more detail, you'll have to read next week's post! Now, to be clear – that's not to say a MTM corset inherently won't fit. Especially if the changes are based on trying on a stock sample in the first place, or if your measurements are close to standard, you may be fine. But the price jump from a mass-produced standard fit style to a handmade MTM corset can be substantial. In turn, it carries a lot of expectations, and it can be frustrating when it doesn't work out as you'd hoped. In that case, it doesn't necessarily mean that your maker screwed up, or that your body is weird. It's just an inherent risk in that particular approach. Made to Measure is a great option if you know you're just not an off-the-rack shape, and you're not ready for a full bespoke corset. If you already have a standard fit corset but just need to size down the waist measurement for your next one, MTM is ideal. There are a lot of circumstances when MTM can work out in your favor – just go into it knowing that it is not the same as bespoke service and can't be backed with the same level of guarantee. What has your experience been with MTM corsets?